+1... i want to see some pics. I'm not possitive either if the 275 will fit. Can someone PLEASE ring in on this one? 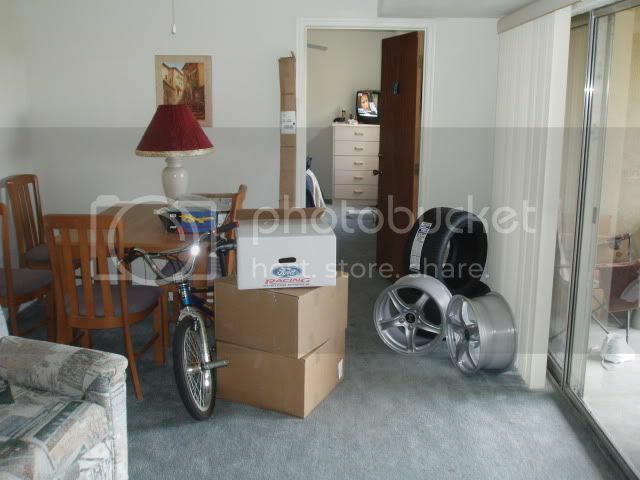 Yes but you have an earlier model mustang, probably with 16 inch wheels. I have an 03 with 17's. Does anybody have any pictures of the torque thrust wheels with 255's or 275's???? Here's a quick machup so you can see what kind of overlap you will really have. 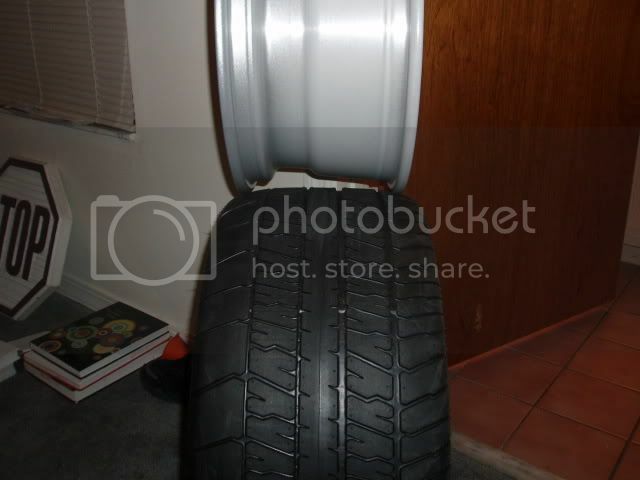 I wouldn't put 275's on my 8" rims for daily driving, but for track wheels wheer I will be running at a much lower psi vs. the street, I think they will work just fine. My rims are the same size as all stock 99+ GT rims. I have no problems whatsoever running with 275s in the rear. In the front I wouldn't bother. There is a slight possiblity they will rub when you are turning, and I don't think it will make much difference up there anyway. The only other problem I can see with running 275s is what I said about me running drag radials. I dunno if this makes any difference. I am running a pretty low tire pressure for a street car (20 PSI or thereabouts). I am also running a 275/40 instead of a 245/45. I took the sidewall down the 5 to make up for the hieght difference. 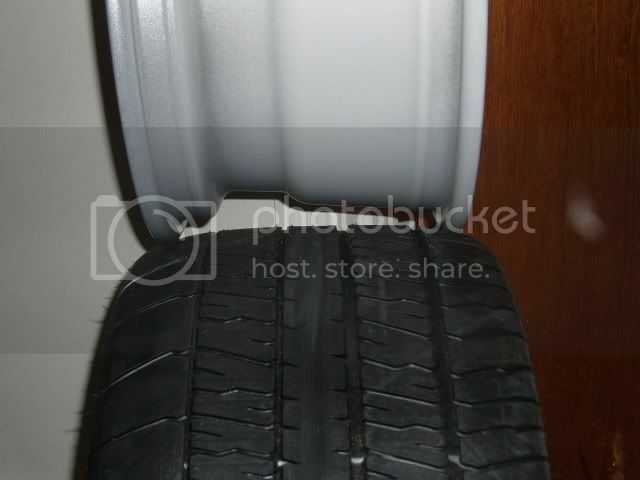 Well thats just what I typed into www.tires.com and got back out. It makes since though thats all they make. Do you really think you are gonna have a problem with 275s on the back of a DD?? I honestly don't think that the D/Rs are making that much difference. I would think a regular tire at a regular pressure would fit??? 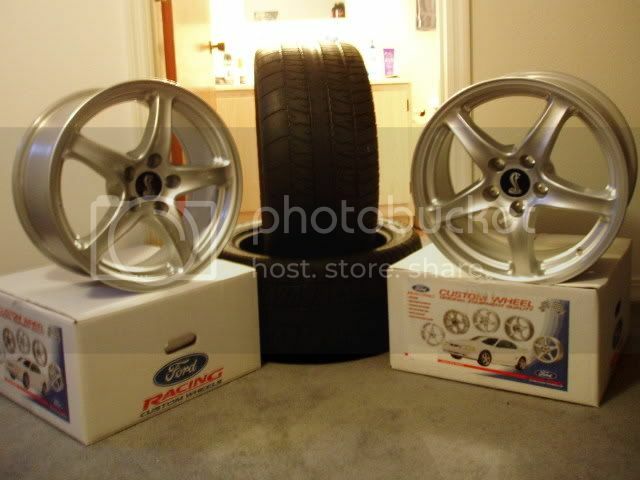 In any case, the original poster is gonna get nittos anyways, so 275s are the right choice for him. I just dunno about a regular tire'd car? I'm sure he'll be fine with the 275's, but for me and my DR's I'll only have them on to and from the track. Or at least I say that now. They are too sticky and too expensive for me to run everyday.